The beasts that crave human brains are here! 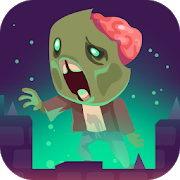 Eat as many brains as you can, get as far as possible and collect money in order to upgrade your creature. Its gluttony knows no limits! Have fun!